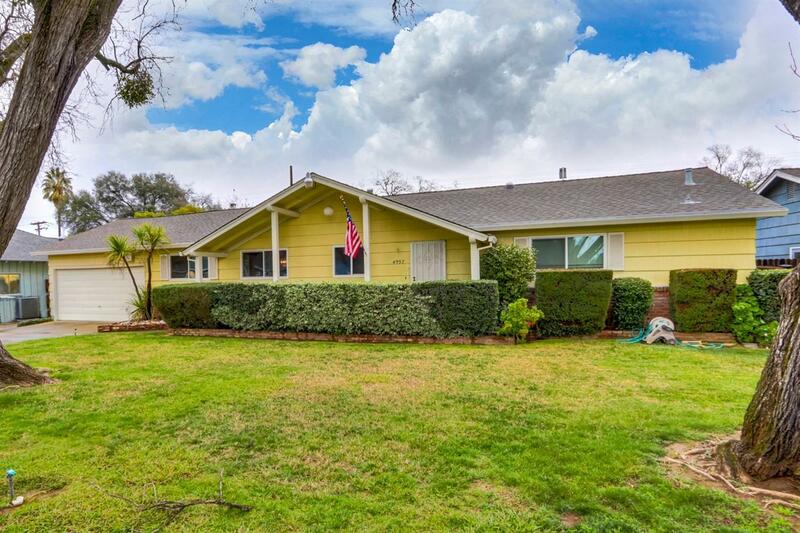 This well-built classic ranch-style home with 3 bedrooms and 2.5 bathrooms is situated on a generous .23 acre lot in the heart of Carmichael! Highlights include a large kitchen area with a breakfast nook and a spacious living room with a fireplace and hardwood flooring. The bonus room could serve as a separate family room or fourth bedroom. Partial dual pane windows and newer HVAC system. Enjoy seamless outdoor entertaining with a quiet covered patio in the backyard, a sprawling lawn, and a pool.